Perfect businessman is one who works smartly and manages all work properly, and smart work is always based on time management – it always depends on how you manage your time equally with different task. For any businessman it’s important to keep an eye every minute on his/her business and always connect with his/her staff. It doesn’t matter your running business on small scale or large. 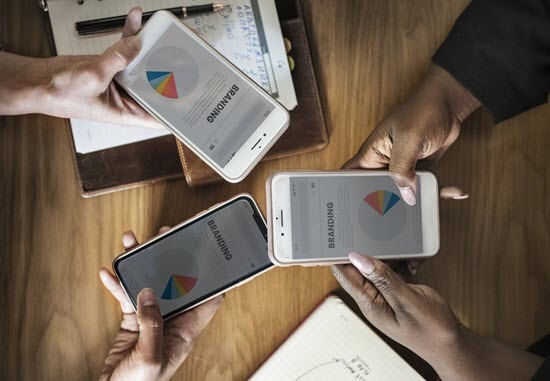 Here we have picked up the top best 8 business Apps for iPhone so you can interact with your staff and even customers easily whenever and wherever. These apps are simple, smooth and fast to use. Here you will get great themes with clean and clear interface, and you can work without getting any disturbance. By using these applications you can track your business from anywhere at any time on your iOS devices. Tips: If you accidentally lost any important message or note from iPhone, you can always use Jihosoft iPhone Data Recovery to get them back from your iOS devices even without backup. 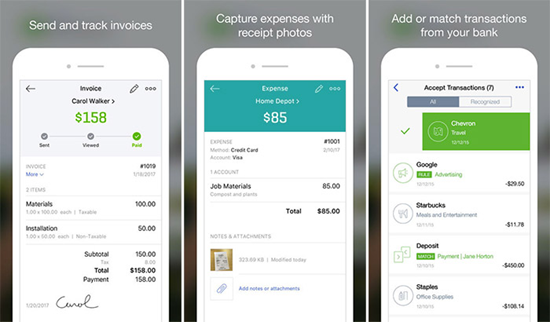 Through this business application you can also manage your small business easily on iPhone.If your using this application you don’t need any accounting expert to keep your bookkeeping organized. The app comes with different features like, creating invoice, managing expenses and cash flow and also checking your profit and loss. It also allows you to customize your all sales with logo and fields. It has clean and clear interface so that you can work without any disturbance. This is the best task managing application for iPhone with the special feature like, checking out the latest status of the project and also tracking the status of your business. This business app allows you to create, edit and share work with your team so that everyone has the latest information. You can view attachment and add up images as well. You will always get notification alerts of your tasks, so you can complete all approvals with one tap. The application has clean interface and zero percent disturbance, so you can work freely. A businessman has many different task in a day and it is hard to handle all task alone, So you can use this best award winning application to handle all your task on iPhone. In this application you can set goals and create a project and also add up some important task to remember them. In application you will find list named ‘Today’ which will help you to find out what you have to do today, which will make your work easy. With its clean interface users can work freely. 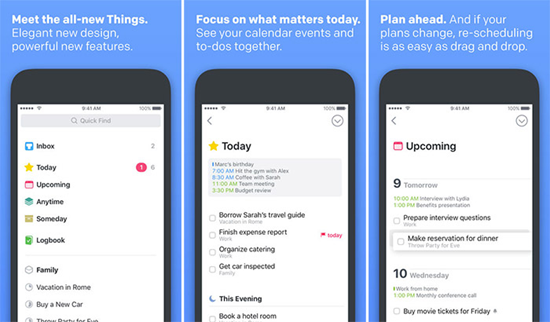 This is a great application for iOS device with different features like, scanning handwritten notes, adding to-do’s, images, web pages, audio and also inputting typed notes. You can also search instantly in this app for any photo, image, notes, etc. You can set reminders for important tasks and the application also allows the access of your information when you need. 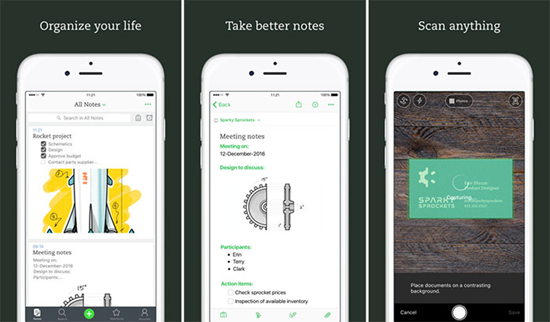 You can organize your notes in any format and also share with anyone. This app has syncing feature in your iPhone so, information is safe and always with you where you go. 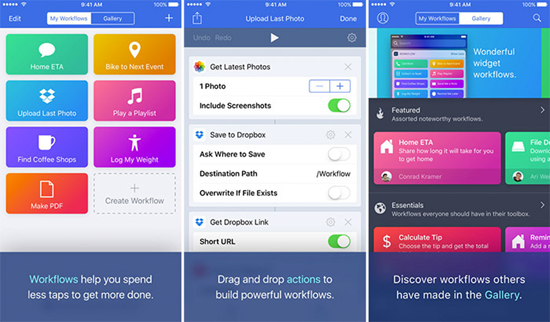 Workflow is well-know for its functions, and in iOS 12, it has already been replaced by Shortcuts, which is developed by Apple. This application allows you to drop any combination of actions so you can create a powerful workflows for your iOS devices. It comes with 200 actions for your Contacts, Maps, Photos, Reminders, Calendars, Music, Camera, Facebook, Safari, AirDrop, iCloud, etc. It also offers you to create awesome GIFs to make your messaging interesting. You can also add icons on your home screen so that you can call them just in single tap. You can also search for nearest restaurants just in one tap. 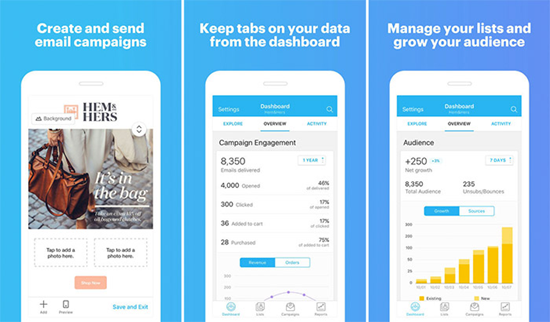 Recently, this business app has got new update on iPhone in which you can now create and run Facebook and Instagram ads. you can also target old people( whom you already talked) and new peoples by using the application data with quick and simple steps. You can also track your Facebook and Instagram ads details to make good decisions. This app also allows you to create and send emails and manage subscribers so you can always be on top. Mailchamp always keeps your data with you. This application always keep you on the top. It is good at managing your clients and always keeping you up-to-date about their interest. Through this the business app turn your iPhone into personal sales assistant. You can also locate your leads and this will definitely gonna increase your sales. 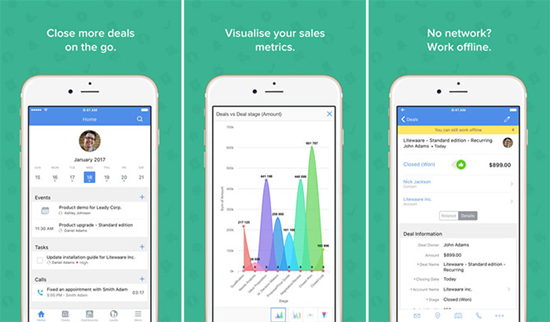 By Zoho’s mobile crm application you can also schedule your meetings and other work. This application also allows offline access to customers’ information, in case you are out of network . You can easily edit and delete records as wel. It allows the access of your contacts, accounts, leads, tasks, events, call logs, vendors, and products stored in CRM. This is the most used application by sales professionals and also won the award for its work on iPhone. This application is mostly use to present and share presentation from different iOS devices like iPad, iPhone, etc. It gives you 15 days trial package, so you can better understand the application. Note that this powerful application is going to discontinued and will not be available in app store after 31, December, 2018, but the application will be still available for its existing users. Only new accounts will no longer created after the date mentioned. 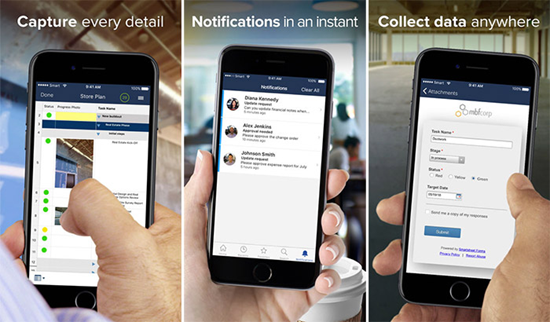 So, these are the top best 8 application for your iPhone through which you can handle your business easily anytime from anywhere. You can pick up the best application according to your need and we will glad to know about your choice in comment box. If you have any questions in your mind regarding this you can simply comment down to let us know.